Can you believe its December tomorrow? My plans tomorrow will be to wrap presents whilst watching Christmas films, isn't this just the best time of year? 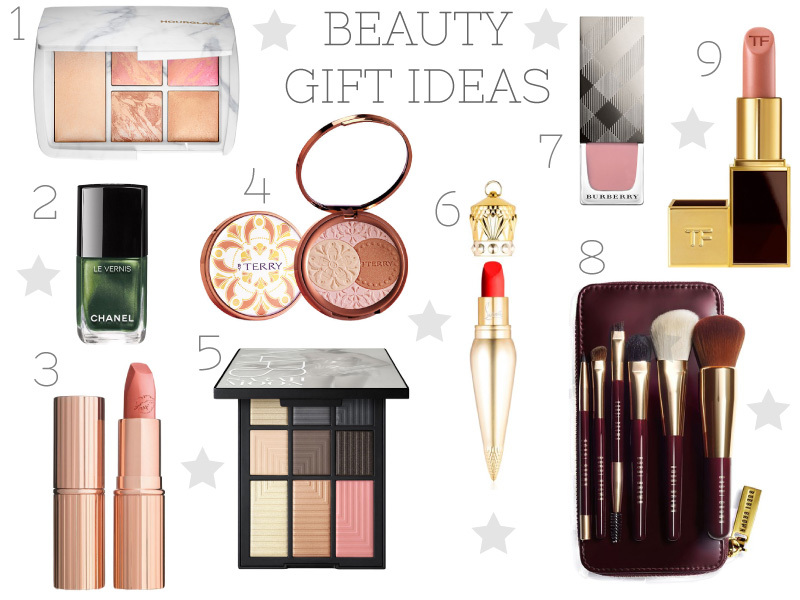 I hope you all have a lovely run up to xmas <3 I've put together a gift list for all those beauty lovers in your life! I tend to always buy my girlfriends beauty products that they wouldn't normally splurge on, like a fancy nail polish! They are also the perfect stocking filler... I just hope my husband takes notice! The limited edition Hourglass palette is such a stunner, just look at that marble case 😍 quite pricey but its just so special. I hope you have found this wishlist inspiring... Let me know if you purchase anything. I would love to own Louboutin's beauty products ! !